Hassle. Inconvenient. Unsystematic. We know a lot of not so nice words to describe public transportation in the Philippines. But now, there’s a more convenient and easier way to go around the metro—UBER. Uber – Over 200 Cities and Counting from Uber on Vimeo. 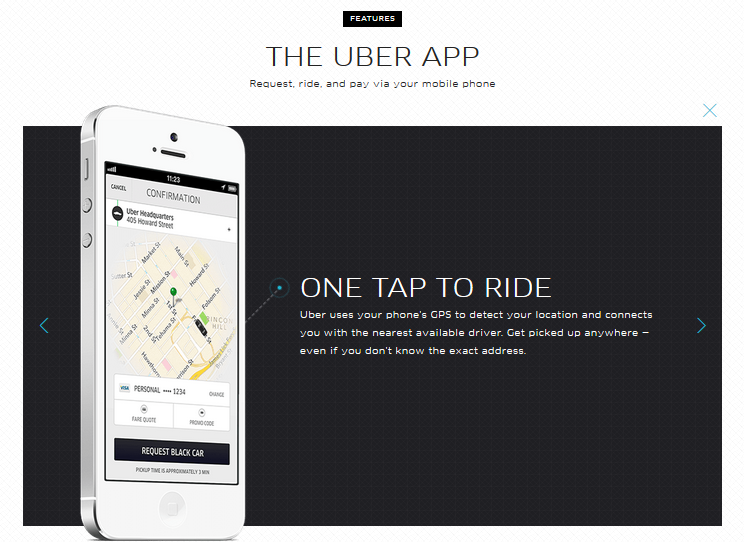 Uber, is a mobile application (available in iOS and Android) that allows users to request for a private driver on demand. Uber originated from San Francisco and has expanded their service to about 100 cities in over 52 countries. Last year, the service became available in Metro Manila. 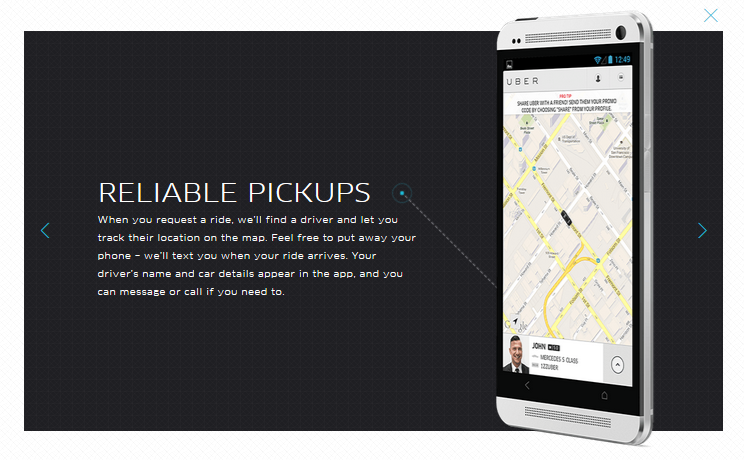 The Uber app gets you a car and a personal driver with only a tap of a button. Through the app, you can set your pick-up point, request for a car, track its location and estimated time of arrival, contact the driver, and rate and comment the experience. Upon requesting for an Uber, you can set a pick-up location by pinning it on the map, then you can just sit back and relax while you wait for your ride to arrive at the pick-up point. You can see real time where your Uber is at and its estimated time of arrival. You also have the option to SMS or call the driver. Tip: Make sure you pin your location properly so the driver can find you faster! Google map results of Metro Manila is not yet very accurate and comprehensive. So better just pin if you can accurately pin point your location on the map. Convenience comes with a price. On the average, an Uber ride is a bit more expensive than taxi. 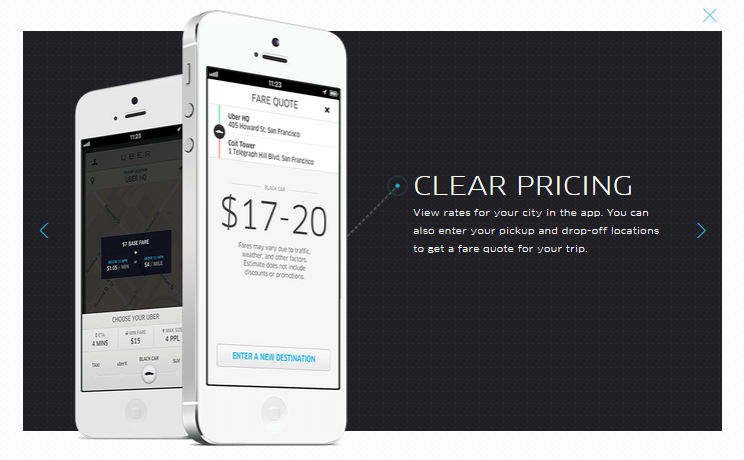 Take a look at Uber pricing in this blog post. It has a higher flag down rate than taxis depending on the type of vehicle requested. But don’t let the price intimidate you, given the level of service you get, the price is very SULIT! Once you’ve had the Uber experience it’s hard to go back. Haha! 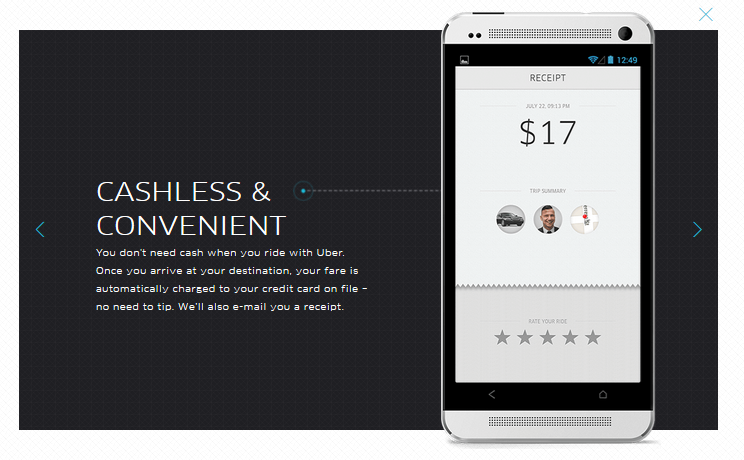 Uber’s transaction fee is embedded unlike in other app-based taxi booking services (e.g. GrabTaxi and Easy Taxi) where a separate booking fee is charged on top of the metered fare. The most valuable proposition of Uber (at least for us) is the convenience of its cashless payment— no more overcharging, no more gouging, no more scrambling for smaller change (yes, we’re talking about taxi drivers!!!!). Uber charges your enrolled credit card to pay for the ride and emails you the receipt with transparent fare computation. 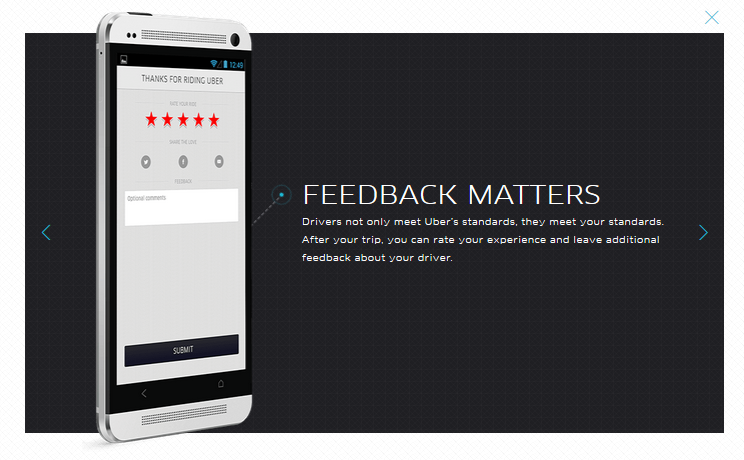 Feedback and rating is very important in Uber. It allows Uber and the riders to monitor and evaluate the drivers so they are held accountable. The same goes for us the riders! We are also being rated! So, let’s be nice! Anyway, nice begets nice, right? 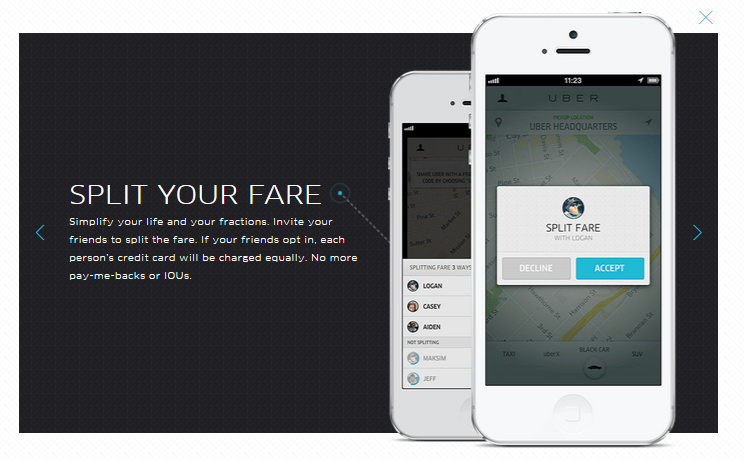 You also have the option to split the fare with friends you’re riding with if they are also registered users. Their cards are automatically charged after the ride, hassle free! Watch out for more Uber basic tips from this blog. You can follow us through the button on the sidebar. If you have some questions about Uber or blog post suggestions, please leave us a comment below! If you also want to share your awesome Uber experience, we’d like to hear them below! Copyright © 2016 Uber Manila Tips. All rights reserved.